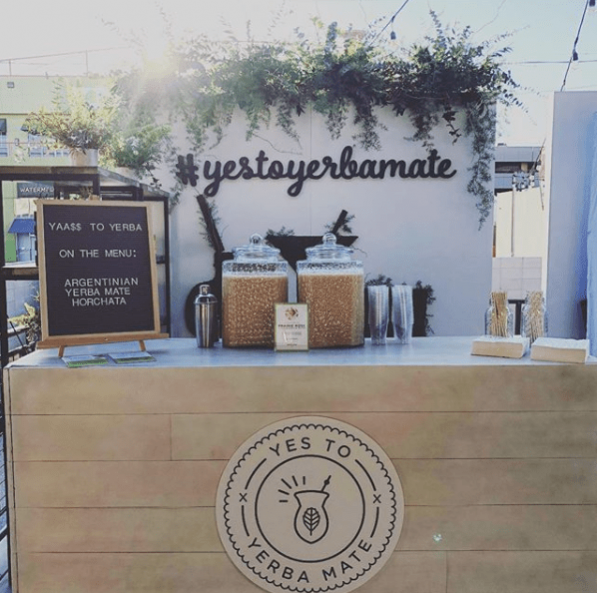 This past Saturday, I had the incredible opportunity to spend the day with nearly 1000 badass lady entrepreneurs in downtown Los Angeles serving up some Yerba Mate Tea Cocktails with Argentinian Yerba Mate. 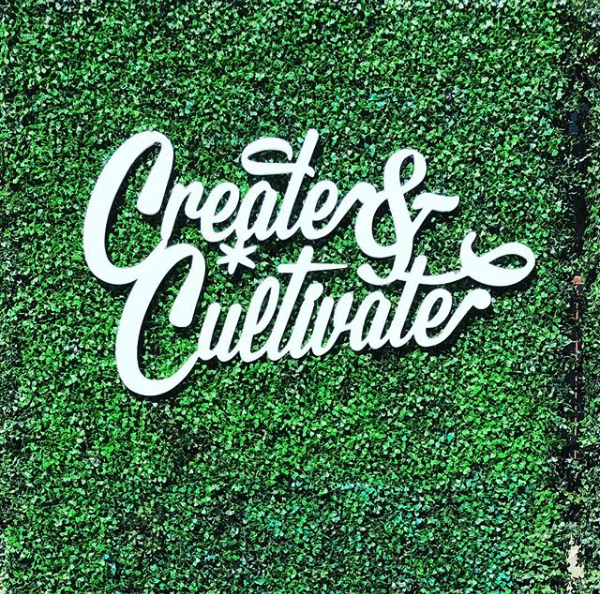 Create & Cultivate, in its 6th year, is an uber hip conference, networking event, and lady fair for women looking to build their brand, meet likeminded women, and to draw on inspiration from the major success stories represented in the various panels and keynote speakers. Powerhouse leaders in the millennial landscape such as Hello Giggles Co-Founder Sophia Rossi, plus sized model, Tess Holiday and Chief Creative Officer of ban.do, Jen Gotch were a big draw for many attending. There was also some very heavy hitting celebs serving up some brand marketing and business advice, such as Lauren Conrad, Chrissy Teigan, and a little known social media personality, ahem, Kim Kardashian West. With all that excitement, a lady tends to get thirsty! And so we were at the ready with a little yummy boost! 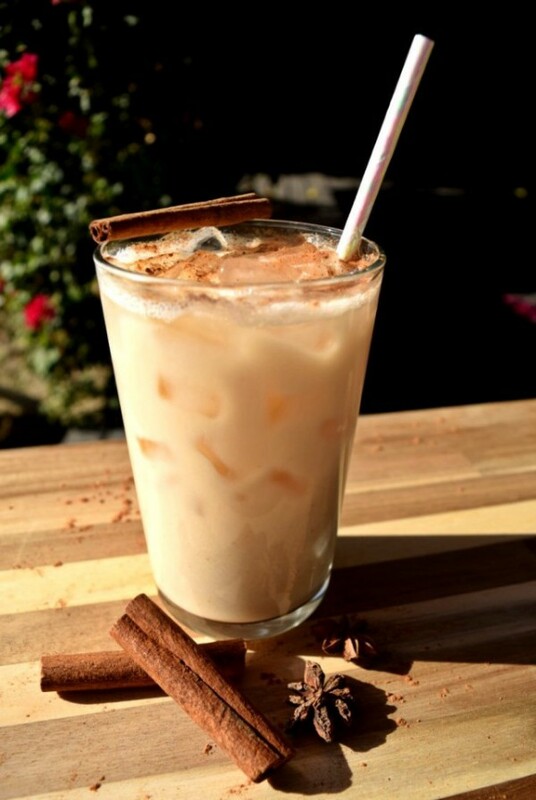 We served three drinks during the course of the day, but our Yerba Mate Horchata was by far our most popular. People kept comparing it to a dirty chai latte or matcha…but better, of course, duh! Check out some of the Instagram love we have here! 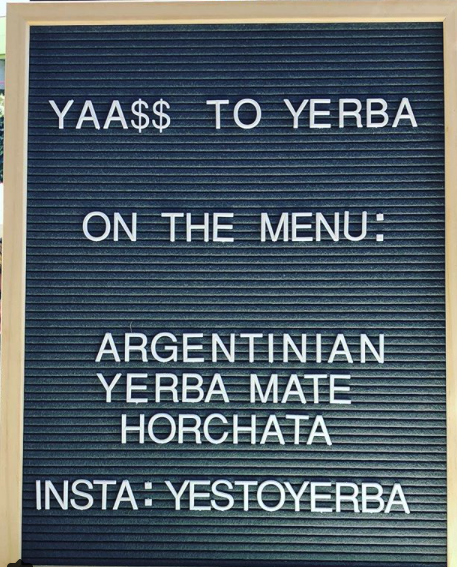 For many people, it was their first time trying Yerba Mate, let alone tasting it in a cocktail! And I’m pretty sure they came away converts. In case you aren’t familiar with this national drink of Argentina, here’s some fun facts! 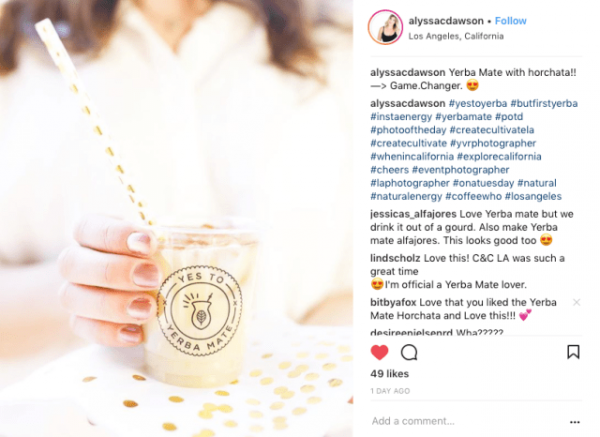 Originally championed by the Guarani, an ancient people indigenous to the South American rainforests, the history of yerba mate can be traced back many centuries and today the delicious and versatile drink continues to be enjoyed across the globe. Argentinian Yerba Mate is a rich source of powerful antioxidants – in fact, its antioxidant capacity has been shown to be even higher than green tea. Its nutrient profile boasts B vitamins, vitamin C, zinc, potassium and manganese, and its primary compound, chlorogenic acid, is a polyphenol that acts as an antioxidant in the body. Yerba mate has been found to be ‘hepatoprotective’ which translates to: ‘protecting your liver cells’, as well as having shown potential as a digestive aid. You can find Argentinian Yerba Mate brands in specialty tea stores and in select Whole Foods Markets across the U.S. You can also purchase Argentinian Yerba Mate on Amazon.com. Shake all ingredients over ice until nice and frothy. 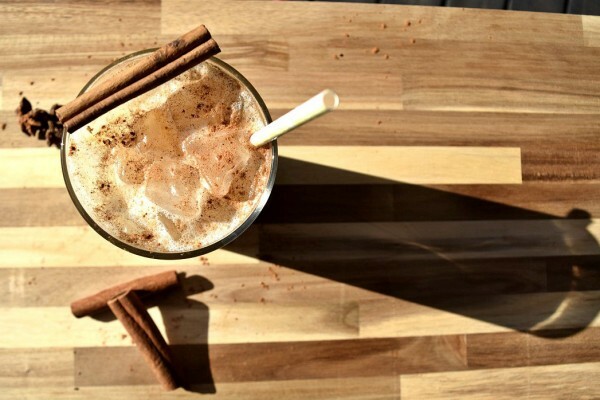 Pour into an ice-filled highball and garnish with a dash of cinnamon and a cinnamon stick. * Combine 1 cup water, 1 cup honey and a tablespoon of ground cinnamon in a small saucepan. Bring to a boil over medium-high, whisk until honey dissolves. Remove from heat, and cool to room temperature, about 30 minutes. Store in an airtight container in refrigerator up to 2 to a month. 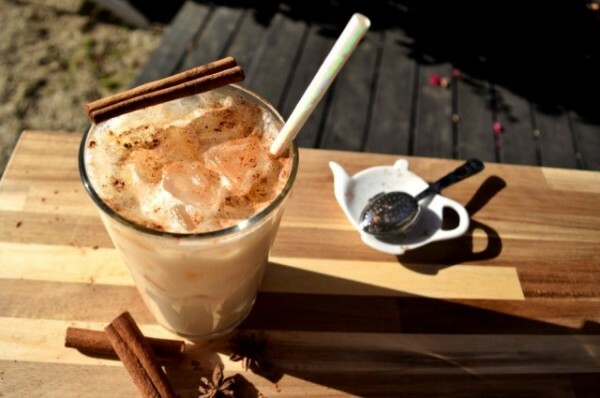 The post Yerba Mate Horchata and Create & Cultivate appeared first on Bit By a Fox.